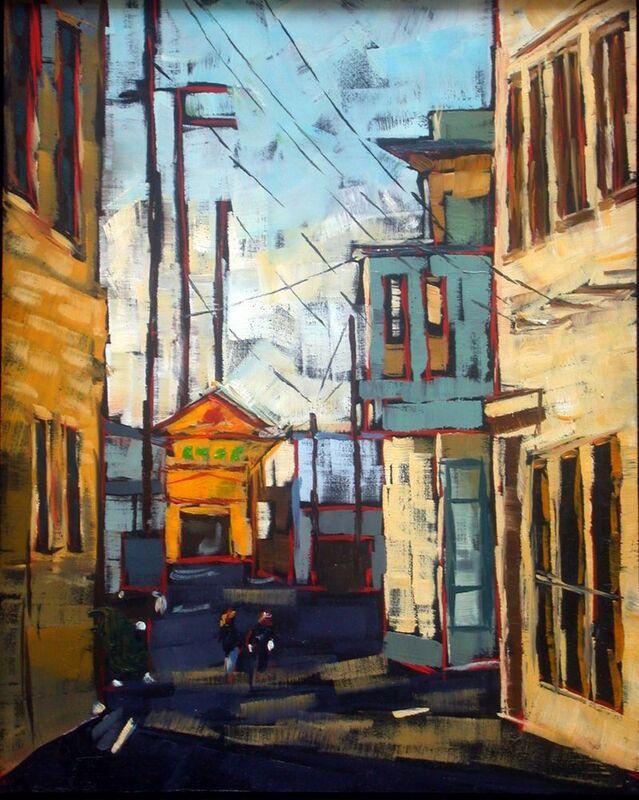 The alleys are the most interesting part of Old Town, painting-wise. If you get there at the right time of day, the light just slides in between the old Victorians and creates all kinds of lovely shadows. Sometimes, I even manage to have a camera in my hand when that happens. At the end of the alley is the North Coast Co-op, our local grocery store. Just in case you were wondering. This is 8 x 10, oil on board, in a frame. Please read all about the frame first if you’re thinking about bidding. Go here to find out more, and click here to see my other paintings.